Home > Beaujolais, wine	> Beaujolais Nouveau 2012 – Not To Be Missed! 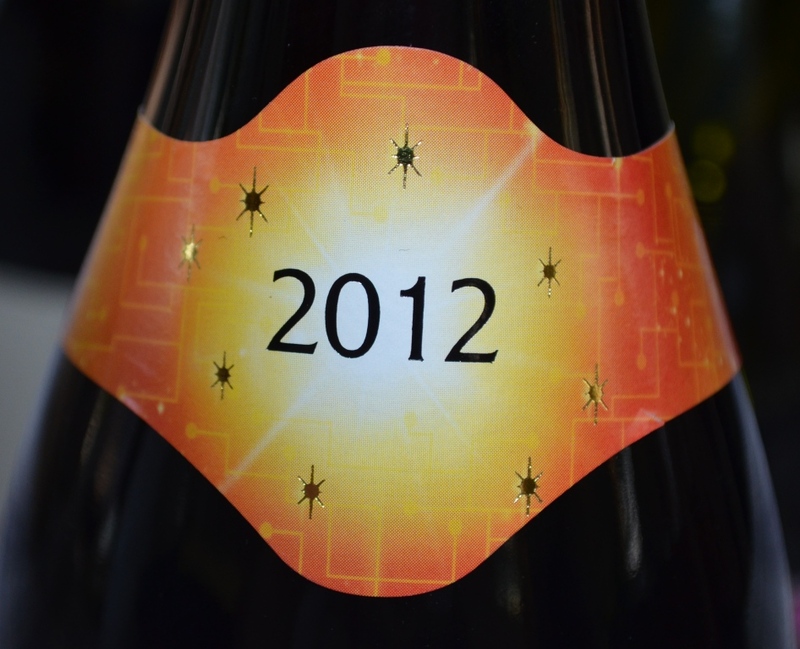 Beaujolais Nouveau 2012 – Not To Be Missed! Walk into the wine store on third Thursday in November, and most likely you are greeted with the abundance of wines with brightly colored labels, which were not there just a day ago. Yes, that means that Beaujolais Nouveau, the wine of new vintage, made out of grape called Gamay in Beaujolais in France, has arrived. As with many other wine in France, Beaujolais wines have a very long history, despite the fact that officially Beaujolais AOC was established only in 1937. It was always a tradition in the region to make young fresh wine of the current vintage just to celebrate harvest. For the long time this was only a local tradition. In the 1970th, it became national phenomena in France. In the 1980th, the tradition of celebration spread out in Europe and then got to the North America – largely with the help of Georges Duboeuf, a négociant who recognized the marketing value of Beaujolais Nouveau (here is Wikipedia link if you want to read more on the subject). Interestingly enough, the sheer marketing success of Beaujolais Nouveau became its biggest problem, as many serious wine drinkers simply dismiss the wine as a marketing gimmick, which was definitely not something intended to happen. This years marks 30th anniversary of Georges Duboeuf Beaujolais Nouveau celebrations, so a little bit of magic had being used to acknowledge the occasion. 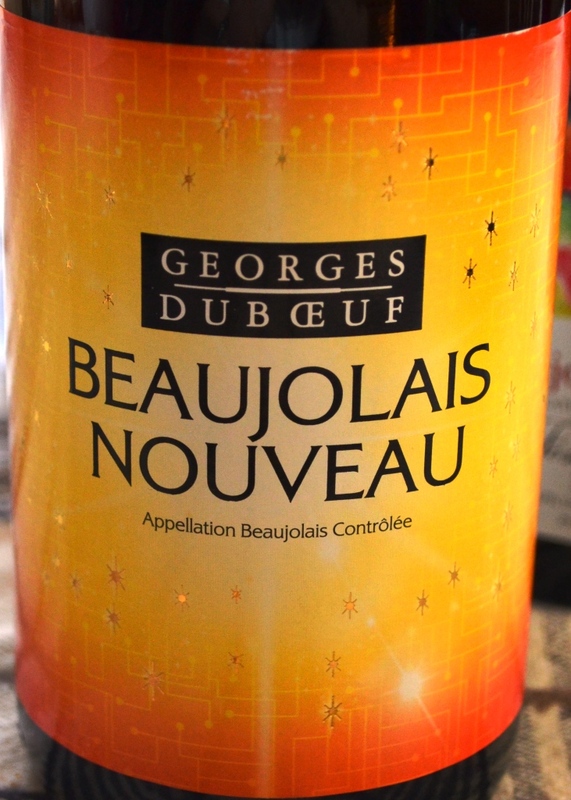 Each bottle of 2012 Georges Duboeuf Beaujolais Nouveau is wrapped in an Augmented Reality label, which can be used to deliver magical experience via free Georges Duboeuf Magic application available for download from iTunes (for more information use this link). 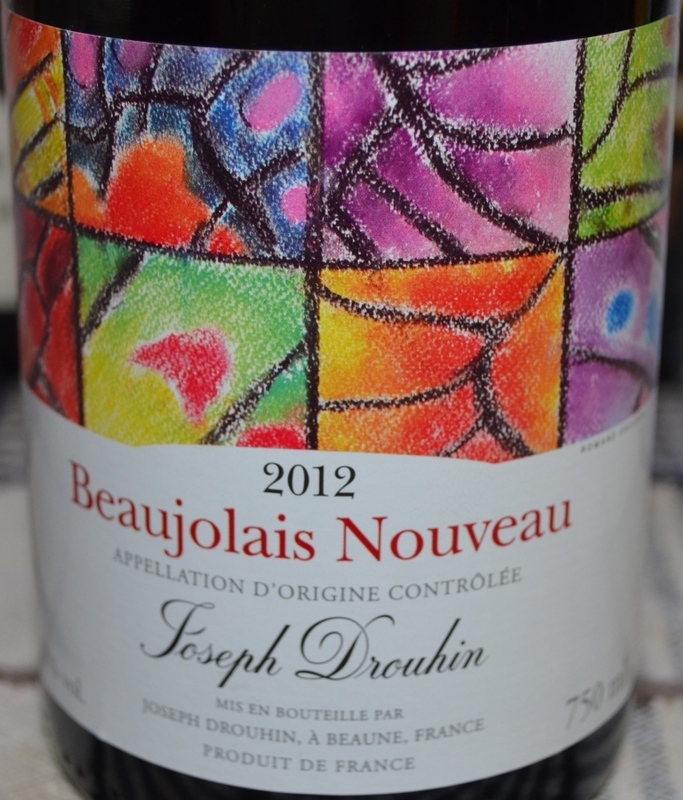 For many years by now, I’m always looking forward to trying Beaujolais Nouveau once it is released. What I remember from those past years is that the wine would show up very grapey and not very balanced. True, it is a young wine, but overall, I didn’t get much pleasure out of it. However, for the past 2-3 years, Beaujolais Nouveau had been steadily improving, showing more finesse, more substance and more balance. This year, 2012 – it simply got me to say “wow”. Almost as a tradition by now, I always get another bottle of Beaujolais Nouveau – for the most of the cases it is Beaujolais Nouveau made by Joseph Drouhin. This 2012 Joseph Drouhin Beaujolais Nouveau (ABV 12%, $10.99) had very similar color to Georges Duboeuf wine, may be a touch darker. The nose was less explicit with the actual fruit and somewhat grapey. On the palate this wine was a touch more dense than Georges Duboeuf, but also more closed in comparison with it. While Joseph Drouhin was a very decent wine in my opinion (Drinkability: 7), my strong preference goes to the Georges Duboeuf. I don’t know how do you feel about Beaujolais Nouveau overall, but 2012 is definitely not to be missed. The wine is not only representing a great QPR, but it will also give you a lot of pleasure. Beaujolais Nouveau wines don’t age, and when they gone, they are gone. Don’t miss your chance to experience Beaujolais Nouveau – it’s worth it. That’s all I wanted to share with you, folks. Until the next time – cheers! Loved the one with the orange label, drank it with my parents this weekend with rack of lamb and rice (thanks for the recommendation Liza!). How would a 2012 Beaujolais Nouveau bottle taste now in 2018 ?? Generally, Beaujolais Nouveau is released in November and recommended to be consumed by May of the following year. Every year is different, but Beaujolais Nouveau is not made for aging, so there is a very good chance that 2012 will not taste good in 2018. But with wine, the proof is always in the bottle – one should taste that 2012 in 2018 to know for sure.